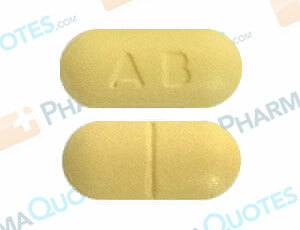 Abacavir (ABC) is a nucleoside reverse transcriptase inhibitors (NRTI) used to treat HIV/AIDS. When combined with other medications, Abacavir works to lessen the amount of HIV in the body to help the immune system fight infection. This product is safe for use from 3 months of age and older. It should only be used under the advisement of a doctor, and patients should contact a doctor or pharmacist for questions regarding side effects and use. In some cases life-threatening side effects can occur, including: serious allergic reaction, lactic-acidosis, and liver problems. Less severe side effects might include weight loss and trouble sleeping. If these side effects persist, discuss with your doctor. If you have had to stop Abacavir due to serious allergic reaction, do not take Abacavir again, or any variations of this drug. If you have stopped Abacavir for other reasons, only take Abacavir again after discussing with your doctor. Be sure to disclose past and present medical history with your doctor. Patients with the following should not take Abacavir: allergic to Abacavir or other medications, tested positive for the gene variation called HLA-B*5701, if you have HepB or HepC, or other liver problems, currently take a hormone-based birth control, are pregnant or plan to become pregnant, breastfeeding, or plan to breastfeed. General Abacavir Sulfate/Lamivudine Warning: The above information is for informational purposes only and is not meant to be a substitute for professional medical advice, diagnosis or treatment. Please seek professional medical advice before starting, changing or terminating any medical treatment. Pharmaquotes is not offering medical advice, pharmaceutical recommendations or endorsing any specific prescription drug, pharmacy or other information on the site. Pharmaquotes provides no warranty or guarantee for any of the discount data, medication, or other information.